Oct. 30, 2017 10:30 a.m.
Premier John Horgan has tried to calm the storm in the B.C. legislature over salmon farming, personally piloting a lifeboat to rescue floundering Agriculture Minister Lana Popham. 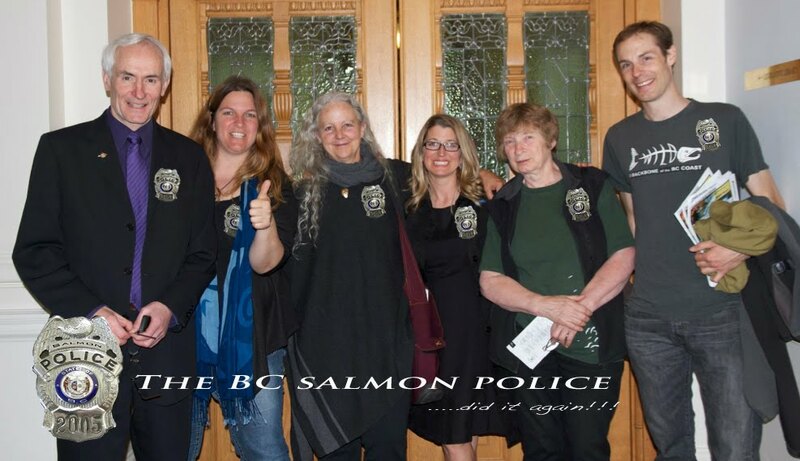 After Popham went overboard with reckless actions against salmon farms, Horgan created a cosmetic “review” of a disagreement between a federal fish scientist and her provincial counterpart over “conflict of interest” in their work. Popham surfaced briefly to explain that the review is to determine if there should be an investigation, because there’s no investigation now, despite her Inspector Clouseau-like effort to launch one herself. Popham falsely claimed there was a federal complaint about data from B.C.’s Animal Health Centre in Abbotsford. This cast doubt on the lab that has handled avian flu and other disease outbreaks of global concern. For this alone, Popham should be removed from the agriculture portfolio. None of this political comedy-drama means anything to B.C.’s coastal marine environment. But looking deeper into the murky water reveals a few things you should know. First, Popham has been supporting the U.S.-backed attack on B.C.’s salmon farms since at least 2011. This is the same tireless protest machine that demonizes Canadian pipelines, mines, dams and pretty well everything that resembles industrial development in B.C. Demonstrations are often fronted by Stewart Phillip, Grand Chief of the Union of B.C. Indian Chiefs, who spends many days going from protest to protest. On salmon farm attacks, he is sometimes accompanied by activist-photographer Alexandra Morton, who has lately been promoted by actors Pamela Anderson, Martin Sheen and other misguided millionaires who should instead focus on salmon farms in Washington or ocean-flooding hatcheries in Oregon and Alaska. Second, the media portrayal of a united front by B.C. Indigenous people against industrial development, and salmon farming in particular, is a carefully staged illusion. One backer of salmon farming is Dallas Smith, a member of the Tlowitsis Nation, president of the Nanwakolas tribal council on B.C.’s Central Coast and one of the architects of the Great Bear Rainforest agreement. His community hosts three salmon farms in the Broughton Archipelago, one of their few sources of year-round employment, particularly for women. Smith isn’t impressed by a one-man occupation of a fish farm in his region that has gone on since August. He points out that this farm happens to be one of the few with cell service, so the occupier can provide a stream of social media claims to the Pam Andersons and Martin Sheens of the world. He’s also unimpressed with one of Popham’s protest pals, George Quocksister Jr.
“He’s claiming to be a hereditary chief out of Campbell River, but in the meantime he’s bouncing around our farms in the Broughton Archipelago, which is nowhere near Campbell River, asserting his authority,” Smith told me. There is a third thing you should know about all this. Morton is an admirer of the United Fishermen and Allied Workers Union. Horgan’s chief of staff, Geoff Meggs, was editor of the union’s newspaper The Fisherman for 12 years up to the 1990s, as they lost the struggle to keep Richmond’s industrial salmon canning industry alive. Today’s anti-salmon farm campaign grew out of the U.S.-backed anti-logging campaigns of the 1990s. They don’t talk about successful efforts by B.C. volunteers and Fisheries and Oceans Canada to restore spawning creeks and rivers damaged by industry and housing development. And they don’t talk about the most obvious threat to wild salmon, particularly the prized sockeye of the North Pacific. It’s an industry long banned by Norway, Ireland, Scotland and Iceland. That industry is commercial salmon fishing.